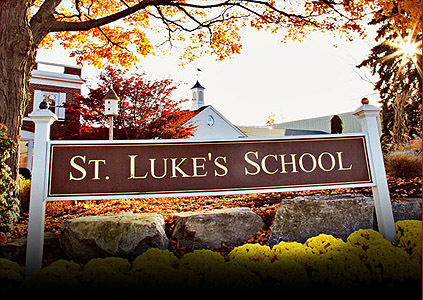 I was fortunate enough to interview Asking Matters member Ninette Enrique of the St. Luke’s School in New Canaan, Connecticut in April. The school has a strong history of receiving major gifts. We discussed how she uses her Asking Matters membership to guide and motivate herself, her board members, and other volunteers. What has your experience been? I’d love to hear from you at brian@askingmatters.com. Brian Saber, President. BRIAN: Hi, Ninette. First of all, thanks for being a long-term member of Asking Matters! You’re a very experienced and successful fundraiser, so I’d like to know – how does Asking Matters help you given that you came to it with a solid background in asking? 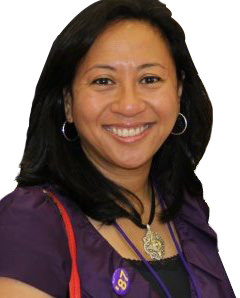 NINETTE: Asking Matters does a great job of focusing on the asker and what strengths he or she brings to the table. I find great comfort in being able to approach the asking process through the lens of Styles, particularly when I’m training board members or volunteers. Potential volunteers tell me, “I don’t like to ask people for money.” Having them take the assessment is an effective first step to getting them comfortable with fundraising. When they realize they identify with a certain style that has shown to be successful in fundraising, it builds confidence that they can do it. When I took the Asking Matters assessment, it gave me confidence that I can speak with a spectrum of donors effectively. I can also pair with a number of volunteer donors and particularly with one who represents a Style I don’t have. While I identify most with the Rainmaker style, I believe my tendencies toward Go-Getter and Mission Controller stem from my experience in soliciting different donors over the years. Finally, Asking Matters has developed a number of really helpful materials, whether it’s for board training or as a reminder to me of the components of an ask. I appreciate the regular Monday email, which helps me focus on asking vs. the many administrative duties I have. BRIAN: Wow, Ninette. That’s a great endorsement – thanks! So if taking the Assessment is an effective first step with volunteers, how do you follow that up? I know that’s one of the biggest challenges – training volunteers. What do you do? NINETTE: We are still new to training volunteers in this way, but this is what I do now. Once they take the assessment, I say “Oh, you are a so and so, and this person is also a …” That makes them feel like they’re in a group. Then I say, for example, “Since you are a Mission Controller, you would be great at strengthening our case. Can I meet with you and have you help me in that regard?” Based on what they are, I give them assignments that are in their wheelhouses, and the language of the Styles becomes the shorthand for how we get volunteers involved and what we ask them to do. We are planning a development retreat in the fall. We had a retreat in February, and for that I had everyone fill out the assessment and introduced the Styles. In the next session, I would like to take people through the process of the ask by using your materials. BRIAN: That’s great. I’m curious – what’s your thinking behind why the Mission Controller would be great at strengthening the case? Also, are you matching volunteers with prospects based on Styles? NINETTE: Mission Controllers can poke holes in the case as they are looking for data and what hasn’t been thought of. That’s what I think. Am I wrong? I haven’t matched prospects with Styles – I’m not that deep in yet with using the system. BRIAN: There’s no wrong! That actually makes lots of sense given how detailed they are. I like it! Has anyone said they think his or her Style assessment is inaccurate? NINETTE: Yes, in which case I ask them to see which style fits. BRIAN: Thanks. What would you say your ultimate goal is for your volunteers? NINETTE: To be comfortable with asking and want to do more of it. BRIAN: Do you think they’ll all ask for gifts one day? I’ve come to think the bar is set too high and the goal for most organizations should be that everyone’s (at least the entire board) involved in cultivating prospects but only some will actually ask for gifts. What do you think? NINETTE: I think you’re right, but it doesn’t hurt to have everyone take the Assessment and train trustees to ask. What I’ve been trying to do is take trustees on visits with me, so they can see how a solicitation goes. Eventually, they feel comfortable with the process. It’s about making the unknown known. When they see the process for what it actually is, they realize it’s not scary and, in fact, very fulfilling. BRIAN: Agreed! We assume our board members either already know how to fundraise or will be comfortable transferring their skills to their new volunteer duties. In fact, they need training and practice just like we do! I also like to point out that there are many things to ask for other than a cash gift – in-kind, volunteerism, advice, board membership, etc. – and people are often more comfortable asking for those resources first, which builds their comfort and ability. Best of luck and thanks for the insights.